Dan Parrish Insurance Services, Inc.
Dan Parrish is a Charter Life Underwriter, Certified Financial Planner, and the President of DPIS. He is an experienced advisor and has been providing innovative wealth protection strategies for his successful business and estate owners for 44 years. In addition to running a business, Dan is a former Marine, awarded the silver star and purple heart while serving as a rifleman in Vietnam. Since then, has served as the Mayor of Woodland, past City Councilman, and past Chairman of the Planning Commission. Dan has also been involved with several philanthropic organizations. 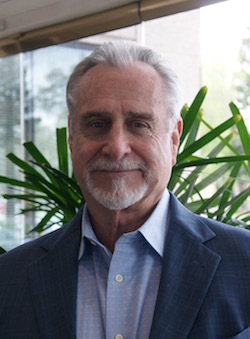 He has served on the Sacramento Regional Foundation Board of Directors and was the past Chairman of its investment committee. He has also been the President of the Woodland Memorial Hospital Foundation and has spoken before several non-profit organizations regarding charitable giving. Dan Parrish currently resides in Woodland, California, with his wife Nancy. He enjoys fishing, boating with his grandchildren, and vacationing to Cabo San Lucas, Mexico. Partner, J.H. Meek & Sons, Inc.
Dan Parrish’s experience and expertise can protect your estate and business. Let us help you plan your legacy. © Dan Parrish Insurance Services, Inc.